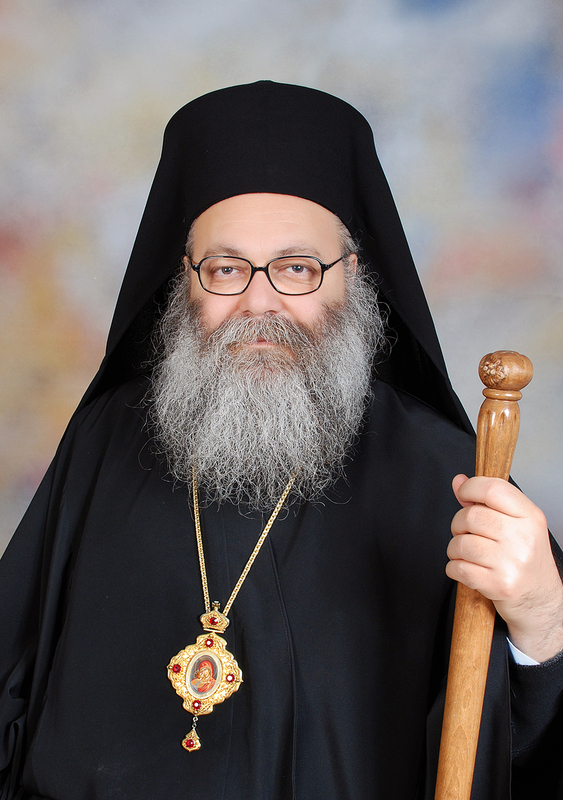 On December 17, 2012, His Eminence, Metropolitan John (Yazigi), was elected as the new Patriarch of Great Antioch and All the East. To help introduce the newly-elected Patriarch to our readers, we offer the text of the address he delivered at his enthronement as Metropolitan for the Antiochian Diocese of Western and Central Europe on September 20, 2008, in Paris. For a fuller biography of the Patriarch-elect, see here. “Now this is eternal life: that they may know you, and Jesus Christ, whom you have sent” (John 17: 3). Let these be my first words on this good land. I would like to start by thanking the Lord who allowed us to gather here this evening on the occasion of my enthronement — I the unworthy — as metropolitan for the Antiochian Diocese of Western and Central Europe. My thanks go as well to His Beatitude, Patriarch Ignatius IV and the members of the Holy Antiochian Synod who elected me, with the help of the Holy Spirit, to fulfil this sacred duty. Since my youth, I have realized that living a true Christian life cannot succeed without following Jesus Christ as leader and example, and without permanently seeking His presence. True Christian life consists indeed in embarking on the adventure of transformation of the self. It also consists in the inclination of the heart, the call for renewal inside the church, and in serving the people in whom He has chosen to dwell. This is what led me to choose the monastic life that marked the essence of my existence. For the monk does not live for himself, but for the world, in God. Although I am bishop, I remain a monk and will live only for my diocese and for the people that I am asked by our Lord to care for. When I was ordained bishop, 13 years ago, the Holy Gospel was laid over my head, while the bishops were invoking the descent of the Holy Spirit. Therefore, I strongly wish and pray that the gospel remains forever over my head, that I remain obedient to it, and that the words of God dwelling in me remain my one and only reference. I would like, firstly, to address our beloved Antiochian diocese members, who are spread in the different countries of Europe, assuring them that I will humbly serve them with all the strength I have been given, according to the word of God. My first aim will be to lead them to the knowledge of this word, and to reveal to them to what extent this word is a source of life for every person and for the whole world. Be sure, my beloved brothers and sisters, that I will be more like a father than a legislator among you. I will try, through my deeds and words, to illustrate for you how “Christ hides in His commandments, and how we find Him when we look for Him” (Mark the Hermit, The Spiritual Law, 191). For He is not in the heights, in the far away sky, and not in the bottom, but in front of us, better said in us, and we are waiting to meet Him. I want the Church to share your joy and sadness, and to support and assist you, for only the Church is capable of doing that. I would like to tell you the same thing that the apostle Peter said to the crippled man: “Silver or gold I do not have, but what I have, I give you. In the name of Jesus Christ of Nazareth, walk” (Acts 3:6). I want to remind you that we are all one big family and that we all have to feel responsible. We are all the people of God, “a holy nation, a people belonging to God”. We all take part in the “Royal Priesthood”: the bishop, the priests, the monks and the lay men and women; which makes us, each according to his talent, active participants in the life of the church, to better illustrate His witness, and to show the world that everything among us is done in a fitting and orderly way, and above all, in love. And here I would like to mention my brothers and all those assisting me in fulfilling my duty, the priests and deacons, with whom I will be serving at the heavenly altar, and whom I will especially love and nurture. My march in this blessed diocese falls between two poles: the first is the pole of the great variety we experience due to the fact that our sons live in different countries, speaking different languages and having different cultures. The second pole is that of the unity required by our belonging to One Church. This unity, although the Eucharist remains its root and the reason of its existence, must be expressed in ecclesial institutions and pastoral conduct. Therefore, I call upon each and every one of you to work together in order to achieve the better balance between unity and diversity, in a way that strengthens our Antiochian witness in this continent as a united and coherent diocese. And here, we cannot forget the successful achievements and the efforts deployed by my predecessor, the late bishop Gabriel, Lord have mercy upon his soul. For it is upon those foundations that we shall base our actions. I would like to turn to the youth who might not be feeling at ease in church, and tell them that we want them with us because they possess the strength to “overcome the evil one”, and it is precisely this strength that we need. I will start by listening to them, and to call them to the duty that awaits us. I will try to convince them, with my fatherly care that respects our Christian tradition and that is open to the problems of our time, that the love of Christ for them is “the greatest love” and that He wants them to be the witnesses of his love, peace and justice. We shall try to seek together, according to the spirit of the Gospel, and away from all complexes, to face the problems and dilemmas posed by our modern consumer society, in order to give back their true meaning to those things whose true value has been lost in this world. We must, at all costs, help the youth find themselves a place within the church so that they may fulfil the meaning of their existence. By addressing the sons and daughters of our cherished diocese, I greet, from this honourable place in Paris, all our parishes in France, Germany, Great Britain, Switzerland, Austria, and the Deanery parishes in Great Britain. I greet as well, all those whom I still did not meet and who, in their turn, do not know me yet. I tell them: be sure that I am longing for meeting you in the various European countries. Our existence in Europe is neither temporary nor accidental. It is no doubt the Will of God. We have to discover the secret behind our presence here in order to know and understand the mission we are called for. The encounter between Antioch and the West is not new. And here I refer especially to the letters exchanged in the fourth century between St. Simeon the Stylite and St. Genevieve of Paris and many others. What separated us is nothing else but the fluctuations of history and human sin. Here and now we are given a new chance to reconstruct the partly broken bridges connecting us to each other. God has wanted us to be called Antiochians in this Europe, which is well-known for its deep cultural roots, unique civilization and history, and which owes much to Christianity for so many of its brilliant facets. Today, Europe follows the secular pattern preventing any interpenetration between religion and the state. Although the practice differs from one country to another, this system has proved its capacity to uphold and develop society. Therefore, we respect it and benefit from its achievements. What I would like to draw attention to, however, is that Europe nowadays is going through a number of transformations, not only through the joint effort towards a larger Europe, which entails an expansion towards the East, but also through its expansion towards countries which have a rich Orthodox tradition. In addition, Europe is experiencing great transformations in terms of social structure, legislation and morality. Being Antiochians in Europe should mean, first of all, that the Antiochians can show the world how they emanate from the Gospel of Jesus Christ. We read, in the Acts of the Apostles, that the disciples were called Christians “first at Antioch”. This does not mean ‘belonging to the city of Antioch’ merely in the geographical sense. For although Antioch was the capital of the Oriental Province of the Roman Empire, and despite the importance of geography and our cultural belonging to that spot of the world, which is the birthplace of Christianity and other monotheistic religions, it means that geography started to pertain to Jesus and that every cultural identity assumed by Christians everywhere would be nothing but a blowing breeze if it does not emanate from Jesus and isn’t founded on Him. Hence, if we indeed want to be Antiochians, our mission in Europe should be to witness to this Christian identity that finds its roots in the Gospel and that is, at the same time, open and welcoming to all. For if the Gospel is the focal point of Christian identity, we would become Antiochians in Europe only when we pertain to the Gospel and let it illuminate us. It is part of our mission to look at the changes happening in Europe without fear or complexes while we keep our life based on the Gospel of our Lord Jesus Christ. There is no doubt that the social and cultural changes before us as well as the scientific developments all around us impose new challenges on our Orthodox mind and ecclesiastical practices. However, if we want to observe, in the light of the Gospel, the changes that the European continent is witnessing at present, we must also play the role of the prompter, who reminds where there is need to remind, questions where questioning is called for, and criticizes where criticism is necessary. At this level, we are ready to cooperate with all the organizations and institutions in the societies of Europe. I would like to refer, in this respect, to the important role of the directors of St. Serge Theological Institute in Paris and of the faculty of Orthodox Theology in Cambridge, assuring them that we will fully cooperate with them and support them in their projects and visions. In this context, it seems to me that the Lord is calling us to establish a decent and highly regarded Antiochian centre in Europe to preserve our Antiochian heritage and tradition and spread them across this continent. The Patriarchate of Antioch, which continues to reap the fruits of the great pastoral and spiritual revival of the past century, that saw the light under the loving care and support of our father and patriarch Ignatius, will remain our inspirer and leader. We depend especially on the prayers of the numerous monks and nuns in Lebanon and Syria. I would like to mention in particular Our Lady of Blummana monastery, whose nuns revived the Antiochian monastic tradition, and who are considered as an important player in this revival. Their prayers along with the prayers of other monasteries in Europe help us to be more alert and present in our world, and more determined to preserve the unity of our Antiochian church. My beloved brothers and sisters, I greet and thank you all and would like to salute, through you, my dear brothers whom I have served for many years in the bishopric of Al Hosn — Wadi Al Nassarah. On the other hand, I would like to mention the difficult political and economical situation that our Church in the Middle East has to face. It is our duty to support the believers living there by all means, and to encourage every idea or project aimed at assisting our sons and daughters to complete their studies, given that their parents are faced every day with the very difficult dilemma of having to choose between bread and education for their children. Our Church carries the Cross of the Middle Eastern countries, and suffers through the troubles of its children. We have to show the world how great the need for justice in this region is. I welcome their Excellencies the ambassadors of our countries and assure them that we will be, in our turn, ambassadors for peace to the best of our ability, ambassadors to strengthen peace and justice in our homeland. In this context I can but remind you all that this part of the world, the birthplace of Christianity, is losing its Christians, and that the voice of Jesus of Nazareth is hardly heard in it. Please do not forget that the holy places are not holy as such, by their stones and high columns; they are holy only if there are people to live and pray in them. This being said, our call as Antiochians should also be expressed through witnessing to the religious coexistence we are living in our homeland with our Muslim brothers. This entails the sincere participation in a dialogue between religions and cultures, which is an important theme and concern for Europe and the world. Being loyal to our homeland will not prevent us, but on the contrary, it will help us to learn how to also be loyal to the countries we live in today, and respectful of their laws and customs. It is one of our duties to do our best to participate in the process of integration to this society, while at the same time contributing many of our values. I welcome the representatives of the civil authorities present and thank them for being here tonight. Our presence in Europe gives us the chance to be closer to other Orthodox churches whose believers have emigrated to the West long before us. It is indeed a unique chance to meet those churches with which we share the same faith and the same mission. We hope that this encounter will enrich our mutual spiritual experiences and different traditions. As for us, we are ready to participate in the pan-Orthodox meetings in the various countries of our diocese and we will always work on the rapprochement of the hearts, and encourage all joint activities and witnesses. This way, we will be fulfilling our Antiochian call for rapprochement and harmony, and maybe we will be given to contribute, whenever God wills and with the help of our brothers, to the birth of an ecclesiastic reality, that reflects in a better way the unity of our Orthodox Church. The presence of the representatives of the sister churches is a strong sign that God will grant us the blessing and the strength to work together for the glory of His name. I would like to assure you, in conclusion, that our parishes will try to be places where the brothers will meet and live in communion, praying to the Lord and uniting with Him, not only through the Eucharist, but also through the common thought and joint work, through learning to experience brotherly love, and by being open to the others and ready to serve them. I invite you all to this joyful banquet, for if you participate in it, and if you were able to experience this apostolic common life, you become rooted in life and this life will explode in you into rivers that will quench the thirst of the thirsty. In your words, deeds and conduct, you shall make this come true and preach that Jesus is the salvation of this world, saying: “Come and see, the Lord is good” and that “His words are sweeter than honey to my mouth”. It is a great challenge, and we have no other solution except to rely “on the hope which is in us”, and to let Christ enable us to love and serve all his creatures despite our unworthiness, so “that at the name of Jesus every knee should bow, in heaven and on earth and under the earth, and every tongue confess that Jesus Christ is Lord, to the Glory of God the Father” (Phil 2: 10 – 11). I am well aware of the difficulties of this task, but I put myself in the hands of the Lord and His Providence. Don’t we read in the book of Revelation: “And he who sits on the throne will spread his tent over them. Never again will they hunger; never again will they thirst. The sun will not beat upon them, nor any scorching heat. For the lamb at the centre of the throne will be their shepherd; he will lead them to springs of living water. And God will wipe away every tear from their eyes” (Rev. 7: 15-17). I fervently ask you not to forget me in your prayers, for I need them very much in my life.